Hollybeary Creations : Let Love Grow!! Happy Thursday everyone.. I hope you are having a great week so far!! 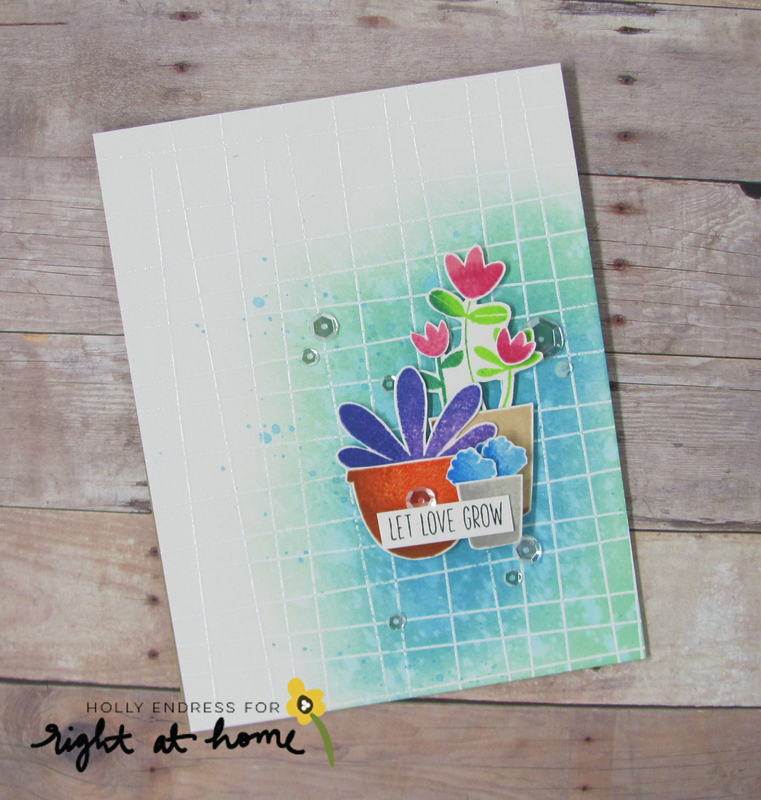 Today I'm sharing a card featuring the Let Love Grow set from Right at Home Stamps! I started by stamping the Grid background stamp from RAH onto some watercolor paper and heat embossing it in White. Then I added some of teh new Distress Oxide Inks to add some color to the background. I used Broken China and Cracked Pistachio. Once I had the ink blended the way I wanted it I rubbed off any excess that might of been on the embossed lines. I stamped all of the images using several shades of ink and the Rock n' Roll technique onto some White card stock then I fussy cut them out. I adhered the main background panel to a Kraft top folding A2 size card base. Then I added the images to background panel with some foam tape. I stamped the sentiment and trimmed it out. For some sparkle I added some Sparkling Clear Sequins from Pretty Pink Posh. This is such a cute set full of images perfect for anyone who loves plants and there are lots of sentiments for different occasions. 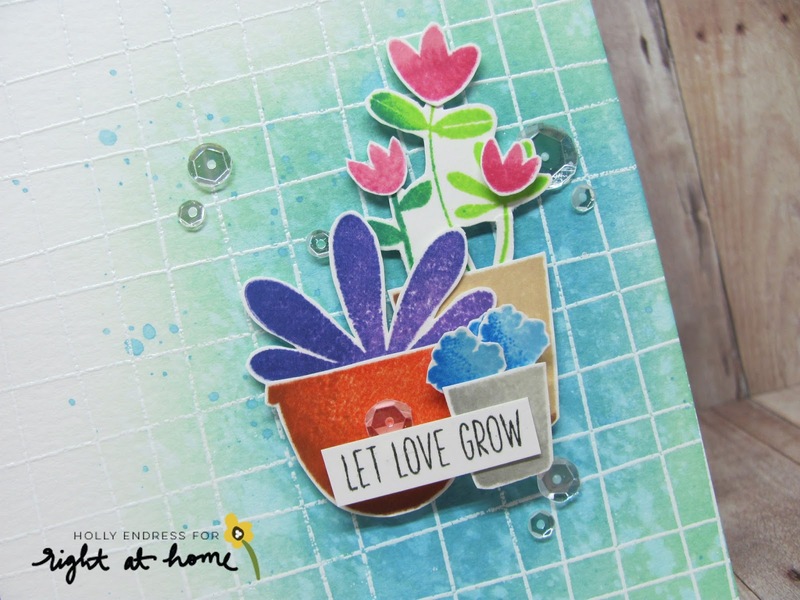 Head over to the Right at Home Blog for more inspiration using the Right at Home line of Stamps! Love your fun and colorful card! !